Knf Rescue the Girl to Present the Ring info about the game-Games2Rule. Knf Rescue the Girl to Present the Ring is another point and click room escape game developed by Knf Game. The story of the game is to rescue the girl from the locked house and exposes your love to her by presenting her the Diamond ring. 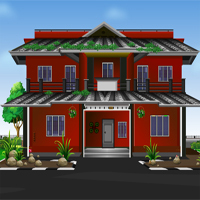 click on the objects around the house to open the house door and solve some interesting puzzles inside the house to get in to the girl room and present her the diamond ring.